The stalling occurs when the weather is cold wet morning. 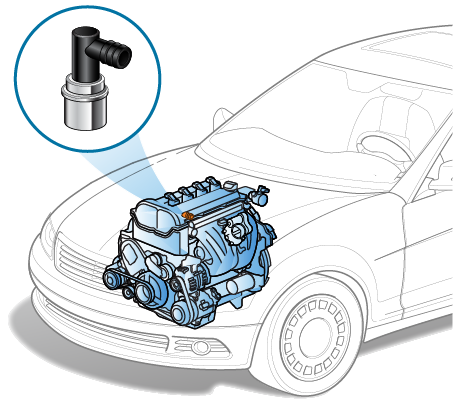 The possible reason for stalling is there is moisture on the distributor cap that causes the engine to misfire. 1. The ignition switch must be turned OFF and the battery ground cable must be disconnected. 2. The no.1 cylinder must be set at Top Dead Center (TDC) on its compression stroke and the fuel line around the pumps must drain OFF. Do not perform the work when the engine is hot. 3. Parts like the air duct, intake manifold collector, and other parts that obstruct during the work to be done must also be removed. 4. Check the alignment marked on the injection pump against the idle gear, this is a must procedure before removing the injection pump. When the alignment marks do not conform to the specification then this is a possibility that cause the injection pump malfunction. 5. Before removing the injection tubes, mark the tubes corresponding to cylinder number.